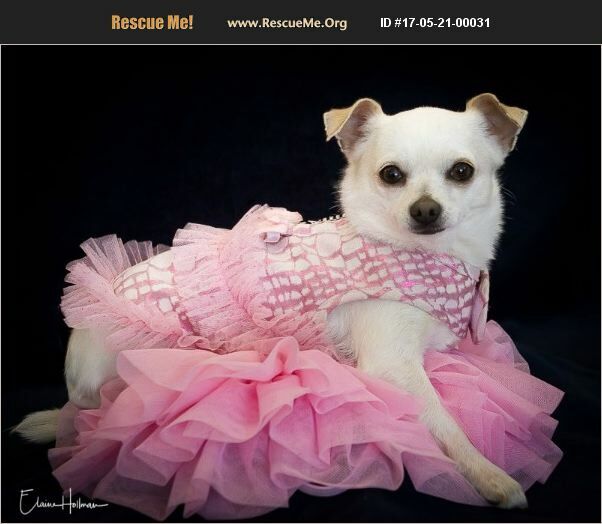 MAYA is a petite PUREBRED Chihuahua princess. She is 3 years old, and at only 6 lbs, she is the perfect size to go most anywhere with you. Her adoption fee is $200 and includes Spay, Microchip and UTD Vaccines. If you are interested in adopting MAYA, please go to our website at www.saveasmalldogrescue.org and submit an online application. Thanks!